We provide lawsuit advances on all types of personal injury cases. Call today for your lawsuit cash advance. Immediately following a car accident, it’s important to find the right legal representation. Depending on how serious the accident was, you and your family may need financial assistance after a car accident. Receiving a little help after your accident can help cover your large and unexpected medical bills and can significantly relieve financial stress after your car accident. We have helped plaintiffs with a large range of injuries and types of auto accidents. 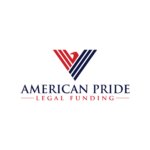 Many pre-settlement funding companies treat claimants like numbers but at American Pride Legal Funding we know you’ve suffered a traumatic injury and are going to provide you with all the information you need when seeking financial assistance after your motor vehicle accident. According to the National Highway Traffic Safety Administration (NHTSA), more than 2.44 million people in the United States reported motor vehicle related injuries, and 35,092 people died in crashes in 2015. Some of the most common car accident factors include texting, driving while intoxicated, driving while distracted, driving too fast or too slowly, failure to stop at designated signs, poor weather and road conditions, and general tiredness or lack of focus. All these factors can contribute to which party is at fault or negligent in an accident case. Car accident victims can have their entire financial world turned upside down. First, medical expenses can extremely expensive. Costs continue to rise each year. Treating even minor injuries can require a trip to the emergency room. The follow up visits carry a huge cost including prescriptions, diagnostic tests, possible surgeries, or even long-term care expenses. Significant injuries can keep you out of work for an extensive period, for most people, losing a week or two of wages can be a large set back and when you couple that with stacks of medical bills- looking for financial assistance after your truck or car accident is understandable. If your bills are piling up and you need a way to bridge the gap in between your car accident and when you case settles, then a pre-settlement loan may be the best option for you and your family. Your lawyer will be working hard to settle your case and compel the insurance company to provide you with the compensation you deserve. In the meantime, to make ends meet, pre settlement funding could be the right answer. In addition, to your lost wages and medical expenses, you may have significant property damage to your car. When another driver causes your car to crash, you deserve compensation for the repairs and your vehicle’s diminished value. In the meantime, you’ll need transportation and a pre settlement loan can help you pay for temporary transportation while your claim is resolved. Occasionally, a driver will lose control of their vehicle because it unexpectedly malfunctions. This can be the result of a defective auto part which can include tires, brakes, airbags, steering systems and axels. When this occurs, it is not a typical motor vehicle accident. Financial assistance after the accident may still be available to you because the company that manufactured and sold the part may be held responsible depending on the circumstances of the accident. Seeking compensation from a corporation, is often much more challenging than pursuing compensation from an individual’s insurance company. You’ll need a specialized law firm in this case and given there may be a longer delay than normal in potentially receiving compensation, a pre settlement loan may be a necessity. One key point to always remember, is that pre settlement funding is not a loan. This means that we will only be paid back if you resolve your case and receive a financial recovery from your case. It’s a non-recourse transaction which means that if you do not receive money on your case, then we don’t get paid back. Pre settlement funding is just one-way people can receive the financial assistance they need while they’re waiting for a larger payment from their pending lawsuit. The application process is very simple. The case documentation is provided by your attorney. So, we only need you name, phone number, attorney’s name and phone number. From there we will contact your case manager and we will work to obtain all the necessary documentation to evaluate your motor vehicle case. Once we have the necessary documents such as the police report and insurance documents we can pass your information along to our attorneys who will underwrite or evaluate the case. Once we have the paperwork from your attorney, we can tell you in less than 24 Hours if you are approved and provide funding the same day through bank wire, overnight check, or Western Union. Something else to keep in mind, pre settlement funding can help you wait out the insurance company and give you the staying power and money while your lawyer compels them to offer you a fair settlement. So, whether you are in desperate need or holding out for a larger offer from the insurance company, we can help. If you need cash before your case settles, then you’ve come to the right place. Give us a call today. We can discuss the particulars of your case with you and give you a better idea of what financial assistance you might qualify for. Whether you were just involved in an accident, or you are in the middle of pursuing a claim against an insurance company, we can help you get the financial assistance you need after your motor vehicle accident. We specialize in auto accident loans. Our professionals have helped thousands of plaintiffs during their careers in legal finance. Keep in mind, you don’t need good credit. We won’t even check your credit. A car accident cash advance is not a loan, it’s an interest in the potential settlement your lawyer is pursuing for you. Applying is fast, free, and easy. Let’s walk through a real-life example, Erica, was involved in a car accident in New York. The accident was not her fault, her 2011 Honda was rear ended by another car while she was at a stop light. She was in the process of switching jobs and recently divorced. She had no safety net. The insurance company offered her $7,000. Her attorney told her that her case was worth between $75,000 and $125,000 but he was not able to loan her money against her car accident. Luckily, Erica found us online. She was injured severely in the accident with a concussion and torn ligaments in her shoulder and knee. Fortunately, for her, the person who hit her had a 100/300 policy and we were able to get her financial assistance after her car accident. The initial car accident loan of $2000 helped her make ends meet and after she had should surgery, we were able to put a higher value on her case and advance her an additional $4500 on her case. Remember, at a maximum we typically advance about 20% of your eventual total expected recovery. We are conservative and don’t over fund cases. When your case resolves, we want you to walk away with additional compensation from the insurance company. In this case, Erica, didn’t have to choose between accepting a low settlement and paying her bills. She was able to give a nice Christmas gift to her daughter, keep up with her bills, and wait for the insurance company to eventually make a $125,000 offer. Apply online or just give us a call and we’ll answer any questions you have and get the process started. We provide funding in most states. However, some states have law that prohibit pre settlement funding. We can not provide funding to consumers who reside in Arkansas, Maryland, or Minnesota.